A reminder the areas that comprise the United Kingdom (the U. K.). They are England, Scotland, Wales and Northern Ireland. Many people have ancestors from these areas, some who resettled in other areas, like Canada, New Zealand, Australia, South Africa or the United States. 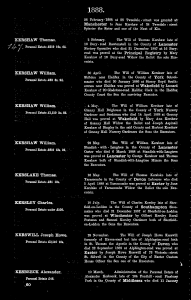 If you did have ancestors who remained in some region of the U. K., then the database of Wills and Probate Records, from 1858 to 1996 will be of great assistance. On the U.K. Wills and Probate site, there is a search box. There is the basic one where you place just a surname and a death date year. 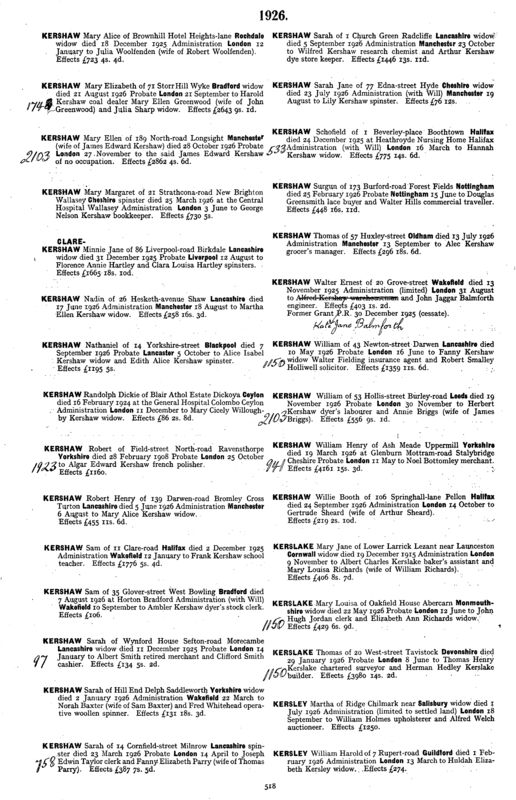 A scanned listing of those surnames of individuals who died in that year will appear. You will need to go through each to look for the given names. Continue each page in search of the ancestor’s name. There is a zoom to use to enlarge some of the fine print of the scanned pages. 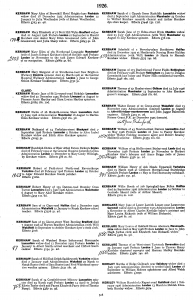 Click on the page to enlarge. As you search keep in mind that the dates can reflect when the Will or probate case was handled, this is especially true if the person died near the end of a year. The information is limited but does provide some basic information. You can save that basic listing to your computer. 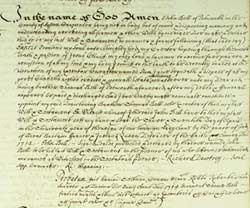 You can also order for a fee a full copy of the Will or Probate records. Also there is a database of Wills for a soldier who died while serving in the British armed forces between 1850 and 1986. If there was a relative unaccounted for this could be the long searching answer you wanted. 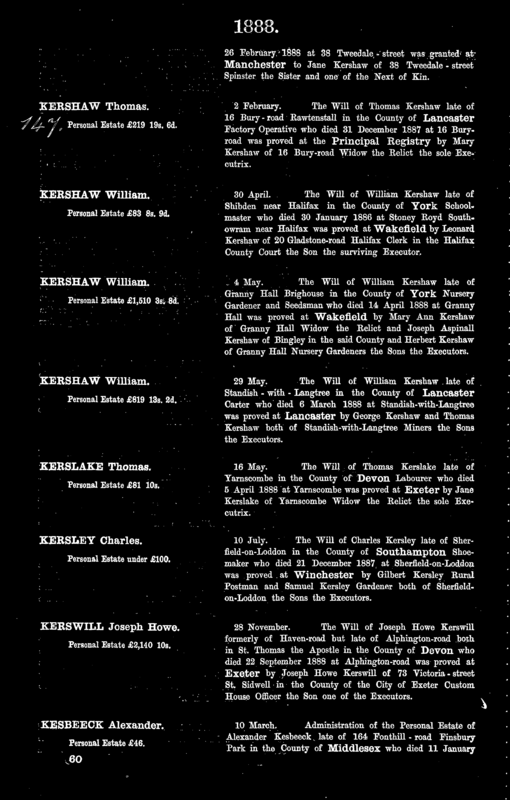 William Kershaw of Manchester, England in 1888 listing his sons as executors. Nathanial Kershaw of #14 Yorkshire St. in Blackpool, Lancashire. He had 1195 U. K. pounds in estate value left to his wife and oldest daughter. That value in the year 2000 was £ 169,332 and in US dollars that equals $255,385. These values can be researched using different conversion charts found on a Google search.